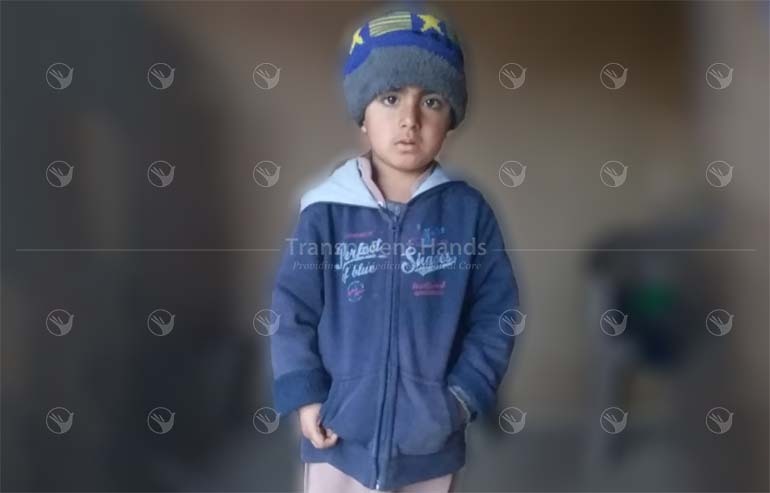 Hamza is a 5 years old boy suffering from left-sided Inguinal Hernia by birth. This is a painful condition which causes bulges along the pubic area and increases in size when the patient stands up or coughs. He is experiencing sharp pain and burning sensations when walking, playing or bending over. He also feels heaviness in the groin area. Hamza is not able to go to school as he is upset due to his disease which prevents him to perform any activity while his friends play and study in front of him. He wants to get rid of all his pain so that he can be as active as his friends are. He has been visiting a local hospital in Islamabad from the last 3 years with his father to get treatment but didn’t get relief. Doctors have advised him surgery but they are unable to bear the surgical expenses. His father is a driver and earns around 12000 PKR per month. Within this meager income, he manages to fulfill the basic necessities of his wife and two children. He is living in a joint family system with his 3 brothers and parents in the same house due to his low income. Muhammad came to know about Transparent Hands from his neighbor who was also helped by this organization for his surgical treatment. Hamza is going to undergo Herniotomy in a few days at Akram Medical Complex through Transparent Hands. Please come forward donate any amount you can for this child’s surgery. Your donation for his surgery can help him to grow as a healthy and strong adult! Be the first one to support Hamza Ilyas.